On June 30, Dwight L. Evans, MD will conclude his tenure as Chair of Psychiatry, after almost 19 remarkable years of leading our Department. On January 1, 2017, Maria A. Oquendo, MD will assume the position of Chair of Psychiatry. 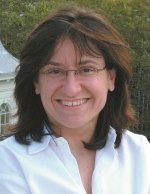 She is currently Professor and Vice Chair for Education in the Department of Psychiatry at the Columbia University Medical Center and Director of Clinical Studies in the Molecular Imaging and Neuropathology Division of the New York State Psychiatric Institute and Columbia University. The record of the Department’s upward trajectory during Dwight’s tenure is exceptional. From FY1997 until today, the Department has grown significantly, from 73 full-time faculty in FY 1997 to 131 today, an increase of almost 80 percent. Over the same period, the diversity of the faculty has grown even more. 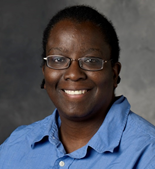 The number of women full-time faculty increased from 18 to 51, a 183 percent increase; the number of minority full-time faculty increased from 5 to 20, a 300 percent increase; and the number of underrepresented minority faculty grew from 3 to 8, a 167 percent increase. Simultaneously, the number of Department-affiliated endowed professorships has doubled, from four to 8 and, in all, 10 different department faculty members hold University professorships. Similarly, the Department’s research enterprise has flourished. National Institutes of Health (NIH) funding has more than doubled from $23.3 million in FY1997 to $47.5 million in FY2015. According to figures compiled by the Blue Ridge Institute for Medical Research, the Department ranked 4th among psychiatry departments nationwide in NIH research support in FY2015. During this period, total sponsored funding has expanded even more dramatically, from $24.1 million to $67.4 million (FY2015) and gifts and endowments have tripled to over $37 million (FY2015). 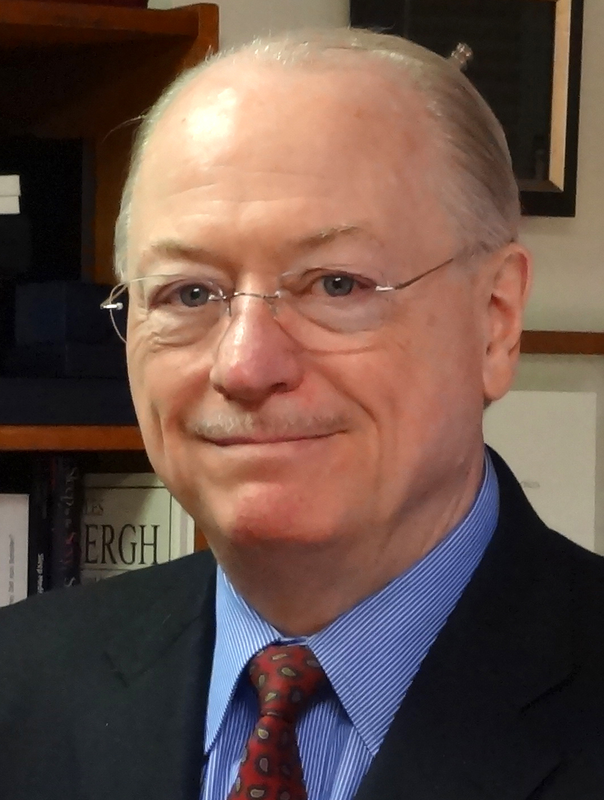 Advancing the Department’s research strengths, Dwight led the creation in 2013 of the NIH-funded Penn Mental Health AIDS Research Center (PMHARC), which he directs, and over his 19 years as Chair supported the creation of approximately 20 faculty-led research centers, programs, and laboratories. The Department has also achieved national recognition for its clinical programs under Dwight’s stewardship. It ranked 13th nationally in the 2015-16 U.S. News and World Report Annual Ranking of Best Hospitals for the quality of its Psychiatry clinical services, the highest ranking of any Delaware Valley psychiatric program. In addition, Dwight oversaw the establishment of Penn Behavioral Health (PBH) in the late 1990’s, which offers traditional patient care services and highly innovative non-traditional business and clinical services. The Department’s educational programs have also thrived. 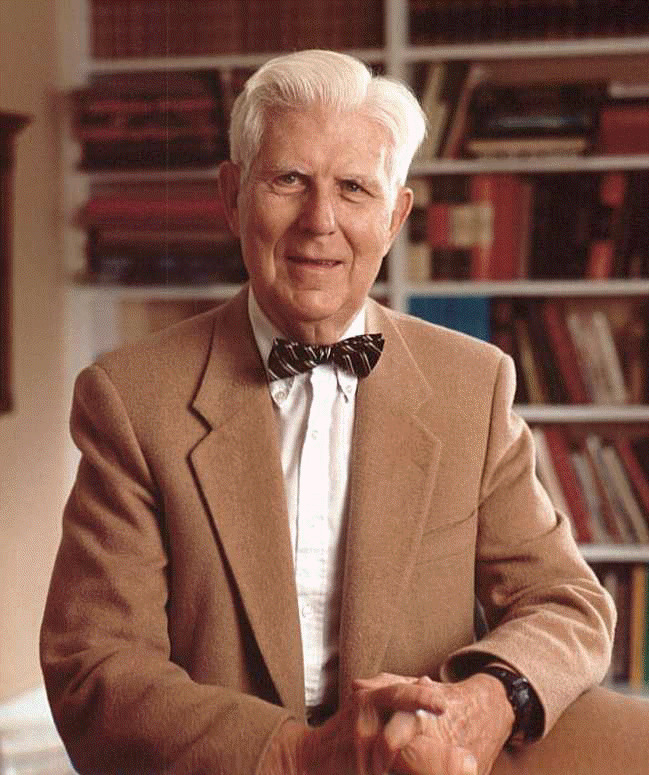 Under Dwight’s leadership, the Department of Psychiatry strengthened its complete and robust array of highly regarded educational programs, including University undergraduate education, undergraduate medical education, residency and clinical fellowship training, post-doctoral research fellowship training, graduate (PhD) training, and continuing medical education and public outreach programs. In 1999, Dwight established the Office of Education, critical to the success of the Department’s educational programs. He also fostered the establishment in 2012 of the Rural Mental Health Elective at the Mount Desert Island Hospital in Maine, offering Penn Psychiatry residents an experience in a rural setting to complement their experience in Philadelphia’s urban environment. Also in 2012, Dwight led the launch of a psychiatry rotation at Princess Marina Hospital in Botswana and assisted in the development and delivery of a psychiatry curriculum at the University of Botswana School of Medicine. Indeed, with Dwight’s support, the Department’s global outreach has expanded to the point that departmental faculty now participate in programs on all seven continents and, via NASA-funded studies on the International Space Station, even beyond the Earth’s atmospheric boundaries. After June 30, Dwight intends to remain active within Penn Medicine and will serve as the inaugural holder of the Roehrhoff Rickels Professorship. He will continue to conduct his translational research on the neurobiology of stress and depression, which has been continuously funded by the NIH for nearly 30 years. Among numerous awards and accolades, he has received the Award for Research in Psychiatry from the American Psychiatric Association and the William C. Menninger Memorial Award for Distinguished Contributions to the Science of Mental Health from the American College of Physicians. He has served as President of the American College of Psychiatrists, is routinely named to the list of The Best Doctors in America, and has served as President of the American Foundation for Suicide Prevention. On behalf of the entire Department, I wish to extend to Dwight our fondest appreciation for leading us for almost two decades, assembling the human, physical, and financial resources to allow us to prosper, and, in summing it all up, to thank him for a job very well done! 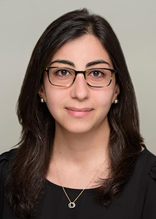 This year, eight (8) Department of Psychiatry PGY-4 residents, two (2) Post Pediatric Portal residents, and three (3) PGY-3 residents will be completing their residency training at Penn and will be headed to new roles at other institutions, as well as within the Department, and to fellowships at new destinations. The Department congratulates these outstanding physicians for jobs well done in the training program and wishes each of them all the best as they continue their life and career journeys. Charles Dackis will be retiring on 7/15/16 after nearly eighteen years at Penn. Dr. Dackis graduated from Duke University Medical School and completed his psychiatric residency at Columbia University in 1981. He was the Medical Director of two private psychiatric hospitals before joining the Penn faculty in 1998. Dr. Dackis has been the Chief of Psychiatry at Penn Presbyterian since 1999 and the Medical Director of HUP/CPUP Psychiatry since 2007. He also directed the O’Brien Center for Addiction Treatment, Penn Forensic Center and the Comprehensive Consultation Service. Dr. Dackis was in charge of the Addiction Course for medical students for six years and earned several teaching awards including the Dean’s Award in 2003. 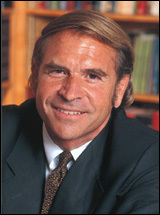 Prior to his arrival at Penn, Dr. Dackis conducted research on cocaine and other addictions, and he developed the dopamine depletion theory of cocaine addiction in 1982. He was a principal investigator at the Center for Studies of Addiction for nearly thirteen years and led the Modafinil Treatment for Cocaine Addiction project. Dr. Dackis will take a sabbatical before he retires from Penn. We are pleased that he plans to remain active in Philadelphia psychiatry and we thank him for his very important service. Penn Department of Psychiatry faculty are highly acclaimed experts in their chosen fields, often contacted by local, national, and international media outlets for their knowledge about topics of immediate interest. In this section, we provide just a brief sample of the many recent interactions that our faculty have with the press. 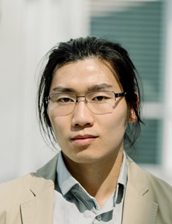 For a more complete listing, please visit Penn Psychiatry In the News - http://www.med.upenn.edu/psych/news.html. 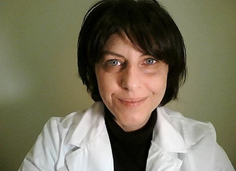 Dr. Dinges is Professor of Psychology in Psychiatry and Director of the Unit for Experimental Psychiatry and Chief of the Division of Sleep and Chronobiology in the Department of Psychiatry at Penn. 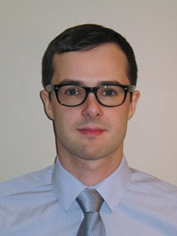 Dr. Basner is Associate Professor of Sleep and Chronobiology in Psychiatry in the Department of Psychiatry at Penn. Michael Perlis, PhD was interviewed in a May 2, 2016 WHYY Radio (Philadelphia) Newsworks article reporting the recommendation of the American College of Physicians (ACP) that therapy - not pills - be the first approach for people suffering with insomnia. The new guidelines from the influential ACP endorse cognitive behavioral therapy (CBT-I) as the first-line treatment for chronic insomnia, shown to work for about 50 to 70 percent of patients. While CBT-I may take several weeks of therapy, the effects last, Dr. Perlis emphasized. “And that’s where it really distinguishes itself from medical therapy,” he said. “There’s no pill on this planet that will give you sustainability of treatment gains after treatment is discontinued.” CBT-I also comes with no or few side effects, in contrast to the potential negative consequences from sleep medications. 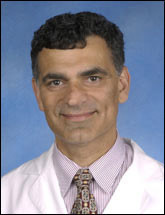 Dr. Perlis was also quoted in a May 2 article in STAT about the new ACP guidelines. 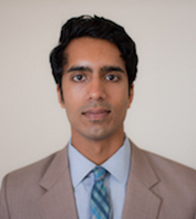 Dr. Perlis is Associate Professor of Psychology in Psychiatry and Director of the Penn Behavioral Sleep Medicine Program in the Department of Psychiatry at Penn. Behavioral Therapy for Common Conditions - Practical in the Real World? 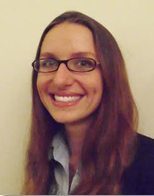 Dr. Gehrman is Assistant Professor of Psychology in Psychiatry in the Department of Psychiatry at Penn. 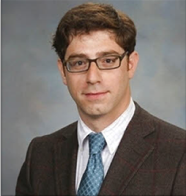 Dr. Ascher is Clinical Assistant Professor of Psychiatry in the Department of Psychiatry at Penn. Co-author Dr. Baurer is Medical Director of the Kirkbride Center in Philadelphia, President of the Pennsylvania Society of Addiction Medicine, and a member of the faculty at the Psychoanalytic Center of Philadelphia (PCOP). Michelle Joy, MD was cited in a May 10, 2016 Philly.com article that highlighted a pilot project that Dr. Joy and a team of other health care providers, bioethicists, sociologists, and advocates - including former Philadelphia Police Commissioner Charles Ramsey - are collaborating on at Penn. The project is focused on developing ways, according to Dr. Joy, that seek to close the “revolving door” of the mentally ill who endlessly cycle in and out of incarceration. The team’s goal is to develop a new line of research to study ethics and policy questions involving mental health care in correctional settings, starting at the “front door” when mentally ill people are arrested. A major objective is to develop policy proposals about how to improve correctional mental health care and divert more individuals to outside treatment. The project is funded by two Penn entities, the Leonard Davis Institute of Health Economics and the Scattergood Program for the Applied Ethics of Behavioral Health Care. 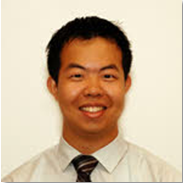 Dr. Joy is Chief Psychiatry Resident at the Hospital of the University of Pennsylvania in the Department of Psychiatry at Penn. 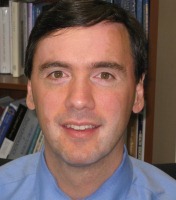 Other individuals affiliated with Penn’s Department of Psychiatry are also involved in the project, including Dominic A. Sisti, PhD, Assistant Professor of Medical Ethics and Health Policy at Penn, Director of the Scattergood Program, and holder of a secondary faculty appointment in Penn’s Department of Psychiatry. 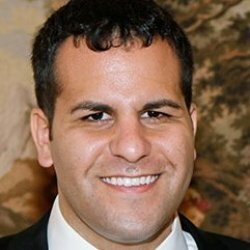 Dr. Sisti was also featured in the Philly.com article. We are pleased to announce that Jody Foster MD, MBA has agreed to serve in the role of Interim Medical Director at the Hospital of the University of Pennsylvania (HUP) and Penn Presbyterian Medical Center (PPMC), effective immediately. In this role, she will oversee psychiatry clinical services at these entities. She will continue in her role as Chair of Psychiatry at Pennsylvania Hospital. 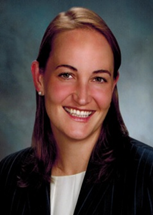 After receiving her medical degree from the Medical College of Pennsylvania in a combined and accelerated BA/MD program with Lehigh University, Jody completed both a residency and a chief residency in psychiatry and a fellowship in clinical psychopharmacology and mood disorders at The Institute of Pennsylvania Hospital. She also attained her masters of business administration, with a concentration in finance, from the Wharton School, University of Pennsylvania. Jody is a board certified psychiatrist and Fellow of the American Psychiatric Association, a member of the American College of Psychiatrists and the American Association of Physician Leaders, and was elected to Penn Medicine’s inaugural class of the Academy of Master Clinicians. Currently, Jody is a Clinical Professor of Psychiatry in the Perelman School of Medicine at the University of Pennsylvania and Chair of the Department of Psychiatry at Pennsylvania Hospital (PAH). Jody also serves as the Executive Medical Director of Penn Behavioral Health Corporate Services, a division of the Department of Psychiatry that includes its own employee assistance program and administrative services organization. 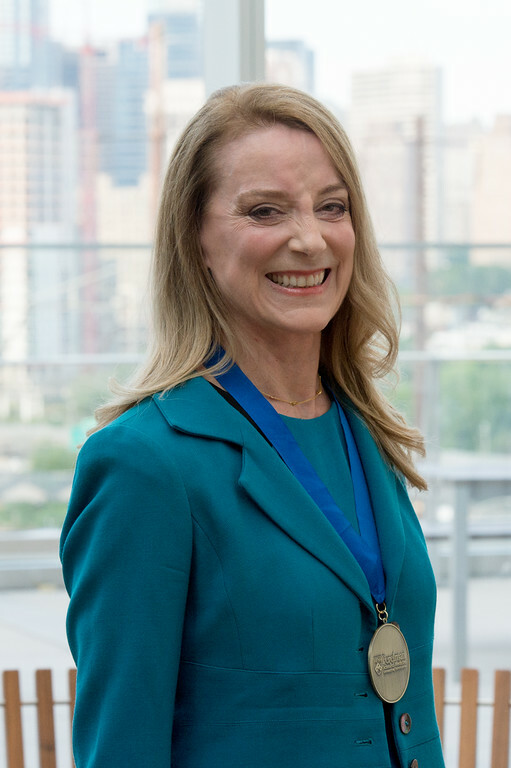 She also leads the Professionalism Committees at the member hospitals of the University of Pennsylvania Health System and runs the Professionalism Program at Penn Medicine, which offers similar services to external health systems. Prior to her appointment as Chair of the Department of Psychiatry at Pennsylvania Hospital, Jody functioned in numerous administrative roles at the Hospital including Interim Chair of the Department of Psychiatry; Director of Adult Treatment Services; Medical Director of the Outpatient Clinic; Director of Electroconvulsive Therapy Services; and she remains Director of Inpatient Services. 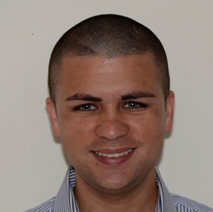 Jody is also a noted educator and has been named a “Top Doc” by Philadelphia Magazine. We are grateful to Jody for her leadership during this important transition in the Department of Psychiatry. “The father of cognitive therapy, Dr Aaron Temkin Beck is considered one of history’s most influential psychotherapists and a pioneer in the field of mental health. Dr. Beck is in legendary company. Medscape’s top five most influential physicians of all time were: Sigmund Freud (#5); Sir Joseph Lister (#4); Ignaz Semmelweis (#3); Hippocrates (#2); and Sir William Osler (#1). Dr. Osler, considered the “father of modern clinical practice,” was Chair of Clinical Medicine at the University of Pennsylvania School of Medicine from 1884 to 1889, before leaving Penn for Johns Hopkins. 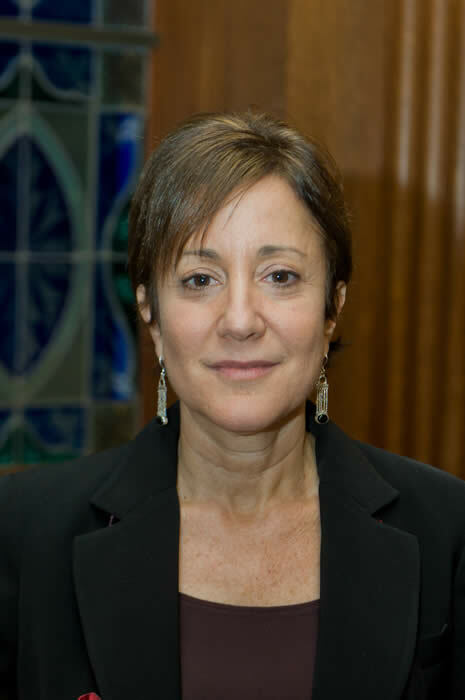 Caryn Lerman, PhD delivered the 2016 Matilda White Riley Lecture for Excellence in Behavioral and Social Sciences on June 20, 2016 in Washington, DC. The lecture, titled “Bridging Behavioral and Cognitive Neuroscience Research to Advance the Treatment of Tobacco Dependence,” was the feature event at the 9th Matilda White Riley Behavioral and Social Sciences Day, sponsored by the Office of Behavioral and Social Sciences Research (OBSSR) at the National Institutes of Health (NIH). According to the OBSSR’s Matilda White Riley Lecture website, “The scholar selected to deliver this lecture is an individual whose research has contributed to behavioral and social scientific knowledge and/or the application of such knowledge relevant to the mission of the National Institutes of Health.” Dr. Matilda White Riley (1911-2004) was a member of the National Academies of Science and served as the National Institute on Aging’s Associate Director for Behavioral and Social Research. Among her many achievements, she built the infrastructure for what became the NIH Director’s Office of Behavioral and Social Sciences Research. Dr. Lerman is the John H. Glick Professor and Interim Chair of Penn’s Department of Psychiatry. She is also Deputy Director of Penn’s Abramson Cancer Center and Co-Director of the Penn Medicine Translational Neuroscience Center. 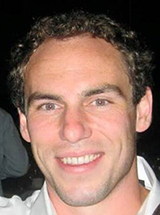 Matthew R. Hayes, PhD was selected to receive the Alan N. Epstein Research Award from the Society for the Study of Ingestive Behavior (SSIB). He will be honored at the Annual SSIB meeting in Porto, Portugal this July 12-16.The Epstein Research Award is endowed by Professor Epstein’s family in his memory. Alan Epstein (1932-1992) was for many years a Professor at the University of Pennsylvania, a distinguished researcher in ingestive behavior and SSIB's 4th President. In keeping with Dr. Epstein’s scientific vision, this award honors an individual for a specific research discovery that has advanced the understanding of ingestive behavior. Dr. Hayes and his lab seek to identify and characterize the neural signaling pathways controlling for food intake and body weight regulation in an effort to treat obesity and associated co-morbidities. 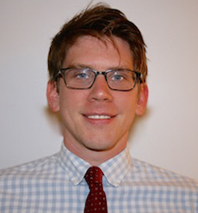 Dr. Hayes is Assistant Professor of Nutritional Neuroscience in Psychiatry and Associate Director of the Translational Neuroscience Program in the Department of Psychiatry at Penn. The Albert Stunkard Faculty Recognition Award is given annually to faculty members who are outstanding teachers and mentors. The graduating resident class selects award winners who have significantly influenced their education and training. Named for Albert J. Stunkard, MD, former Chair of the Department, this award recognizes Dr. Stunkard’s enormous contribution to the education, training, and support of Department housestaff. Marc Lipschutz, MD, Jody Foster MD, MBA , James L. Stinnett, MD, Claudia F. Baldassano, MD, and Sarah B. Mathews, MD received this honor in 2016. 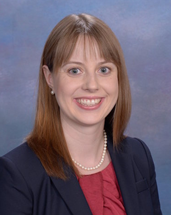 Elizabeth Ann Hembree, PhD received the 2016 PGY-3 & 4 Teaching Award and Katharine Dalke, MD received the 2016 PGY-1 & 2 Teaching Award. These awards honor those individuals whom the residents believe were the most effective teachers of the academic year and exemplary in shaping their overall education. Theodore (“Ted”) D. Satterthwaite, MD, MA was awarded the 2016 Martin P. Szuba Award for Excellence in Clinical Teaching and Research. This award is presented annually to a Department faculty member with outstanding teaching abilities, ongoing clinical research, and a focus on translating research concepts into clinically useful teaching, all of which Dr. Szuba embodied in his work. Annie G. Steinberg, MD received the 2016 Annual Award for Clinical Faculty. This award, funded by a clinical faculty member, is given to a volunteer clinical faculty member who has demonstrated long-term loyalty to the Department and excellence in teaching and/or supervising. Lawrence D. Blum, MD was the recipient of the 2016 Earl Bond Award. 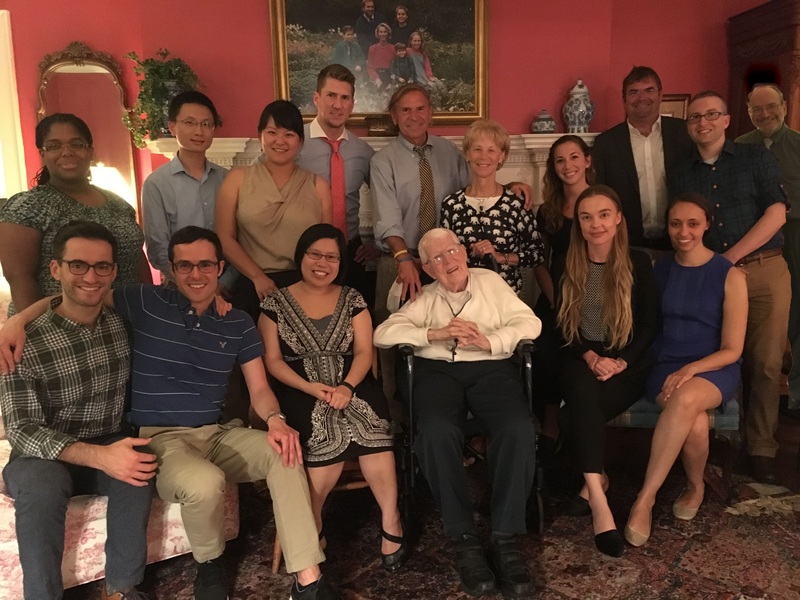 Initiated by the efforts of Dr. William Peltz, this annual award is given to Department members who have distinguished themselves for teaching at the medical student, resident, and/or graduate levels. 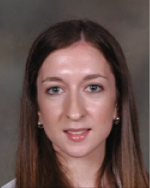 Sarah DeMichele, MD received the inaugural Dr. Joseph DiGiacomo Award for Junior Faculty Excellence. This honor, established in 2016, is awarded to a junior clinical faculty member (clinical assistant professor) who has shown teaching excellence in the past year or year(s). Michelle Joy, MD, Cecilia Livesey, MD, and Anne Taylor, MD received the 2016 Dr. Henry P. and M. Page Durkee Laughlin Foundation Award. Upon the recommendation of the residency program, this award is given to residents in recognition of their professional achievement, dedication, and scholarship throughout residency training. Founded in 1964 through the generosity of Hank and Page Laughlin, the Dr. Henry P. and M. Page Durkee Laughlin Foundation is based in Frederick, Maryland. For more than thirty years, the Laughlin Foundation has honored outstanding residents in psychiatric training programs throughout the United States and the United Kingdom. Cecilia Livesey, MD received the 2016 Kenneth D. Cohen, MD Psychodynamic Psychotherapy Award. This award is named as a tribute to the late Dr. Cohen in recognition of his outstanding teaching about psychodynamic understanding during his 54 years on the Department of Psychiatry faculty. 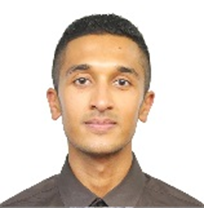 He was a dedicated, tireless, and enthusiastic teacher who helped residents focus on the patient as a person and the essential importance of subjective experience. The prize has been endowed by the Cohen Family. 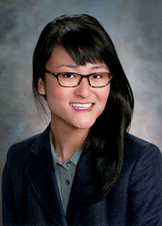 Ashley Un, MD received the 2016 Medical Student Teaching Award. This award is given to a resident who has been a consistently outstanding teacher of medical students. 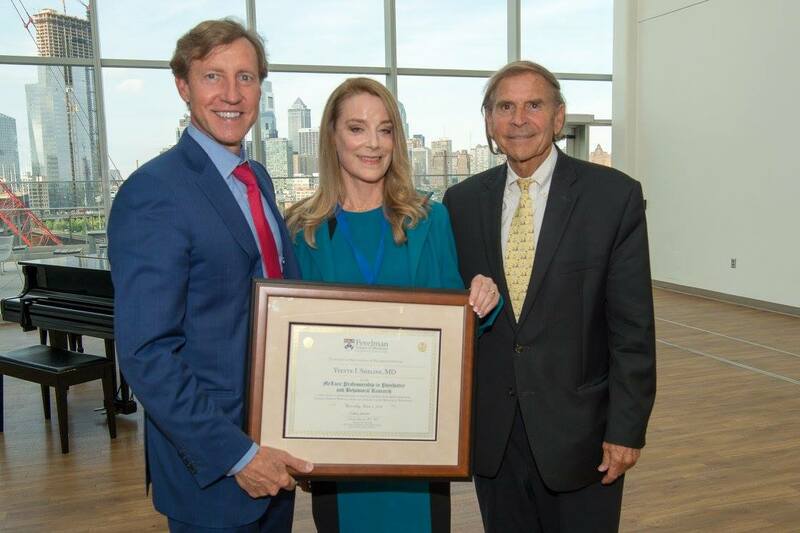 Yvette I. Sheline, MD was honored at a reception for her appointment this Spring as the first chair-holder of the McLure Professorship in Psychiatry and Behavioral Research. The reception was held on June 2, 2016 in the Jordan Medical Education Center. Program speakers included: 1) J. Larry Jameson, MD, PhD, Executive Vice President of the University of Pennsylvania for the Health System and Dean of the Perelman School of Medicine; 2) Jonathan A. Epstein, MD, William Wikoff Smith Professor of Cardiovascular Research and Executive Vice Dean and Chief Scientific Officer for Penn Medicine; 3) Dwight L. Evans, MD, Roehrhoff Rickels Professor of Psychiatry and Chair of the Department of Psychiatry at Penn; and 4) Dr. Sheline herself. Photos from the reception are found on the Penn Medicine Facebook page, as well as accompanying text, which is reproduced below. 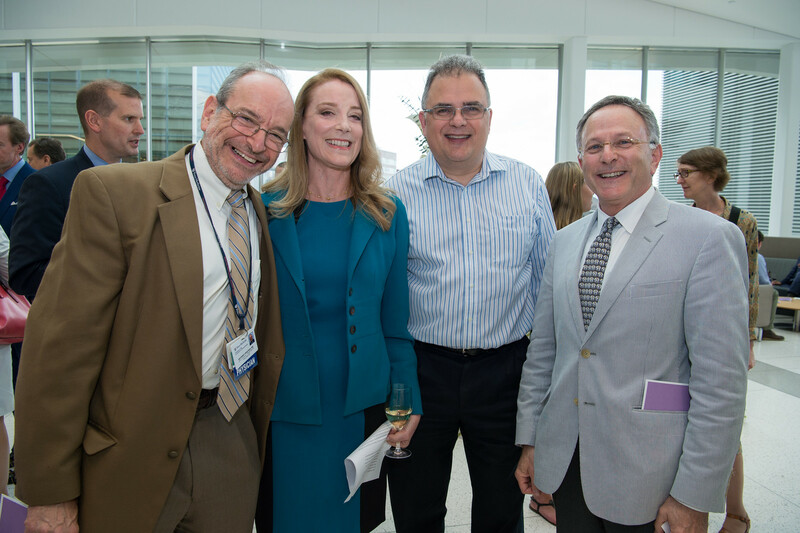 Last week, friends, family, and colleagues gathered in the Perelman Center for Advanced Medicine to celebrate the appointment of Yvette Sheline, MD, as the inaugural chair-holder of the McLure Professorship in Psychiatry and Behavioral Research. 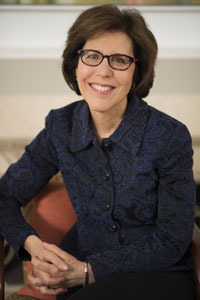 Recruited to Penn in 2013 by Penn’s Neuroscience of Behavior Initiative as Director of the Center for Neuromodulation in Depression and Stress (CNDS), Dr. Sheline is known for her pioneering work on hippocampal volume loss in major depression as well as the moderating effects of antidepressant treatment. 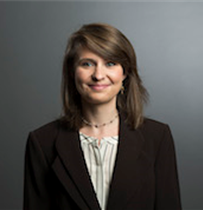 She has been the recipient of numerous awards, including a National Alliance for Research on Schizophrenia and Depression Young Investigator Award, two NARSAD Independent Investigator Awards, and two National Institute of Mental Health Mid-career Investigator Awards in Clinical Research. Judith S. Beck, PhD has developed several new online training programs available through the Beck Institute for Cognitive Behavior Therapy. Clinicians from 51 countries enrolled in the inaugural 4-week program, Essentials of Cognitive Behavior Therapy, in May. Additional courses, lasting 4-8 weeks, will cover depression, anxiety disorders, personality disorders, and weight loss and maintenance. Courses on CBT for a range of other diagnoses, for medical patients, and for children and adolescents are planned. Learning includes direct instruction, videos of therapy sessions, clinical roundtables with Beck Institute faculty, experiential exercises, and discussions in an online forum. Dr. Beck is Clinical Associate Professor of Psychology in Psychiatry in the Department of Psychiatry at Penn and President of the Beck Institute for Cognitive Behavior Therapy. For additional information about the new program, visit http://www.beckcbtonline.org. Information about other training programs at the Beck Institute can be found at http://www.beckinstitute.org. This message is distributed periodically by the Department of Psychiatry. Information contained in this message supplements the news and information already contained on the departmental web site (www.med.upenn.edu/psychiatry). If you wish to be removed from this mailing list, send an email with the subject "UNSUBSCRIBE"